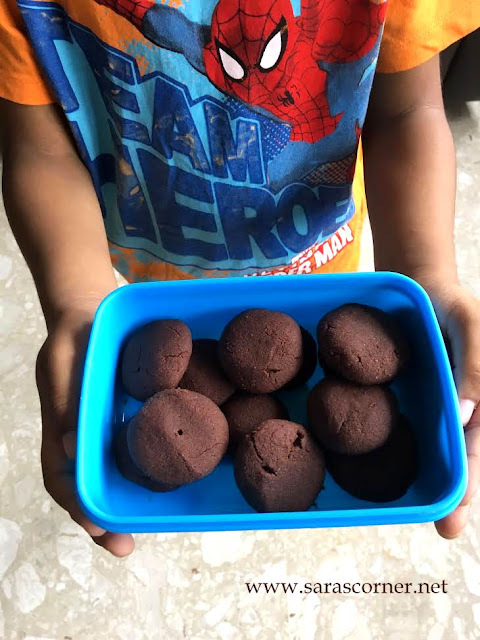 Homemade Chocolate biscuits| Kids Snack box! 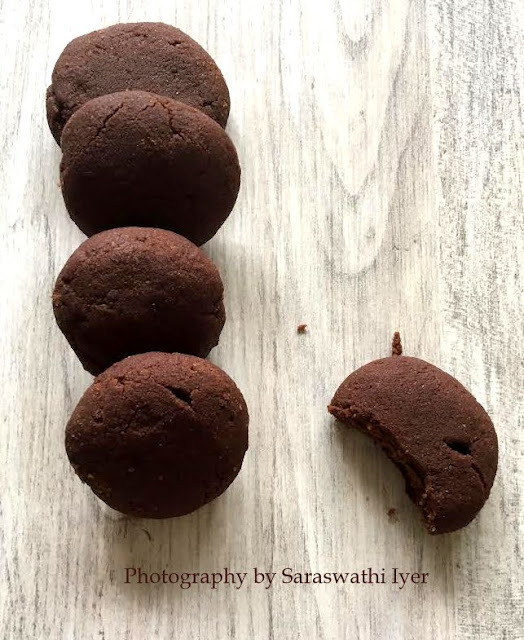 This Chocolate cookies I prepared for my sons snack box. Its really easy and quick. My kids liked it a lot. Preheat the oven at 160 C for 10 mins. Seive all purpose flour, cocoa powder, baking soda, baking powder twice in a wide bowl. Take little dough and make small balls by hand and slowly press to get a shape. Arrange them in a baking tray(with baking sheet). Bake for 12mins. You can keep an eye on it. You will get a good aroma and flavour of chocolate. Do a prick test and remove from oven. Allow it to cool fully and then store in air tight container for storing. - You can add chocochips . - You can add nuts also.